Winter is a tough time of year, and particularly when it comes to maintaining your motivation to exercise. The days are shorter, weather is colder, and there’s a general listlessness in the air. It makes maintaining an exercise regime extremely challenging. If you get home at 6pm when it’s dark and dreary outside, finding the motivation to exercise is always going to be an uphill struggle. It’s always advisable during the winter months to exercise earlier in the day. That way, you don’t have to battle against your evening desire to just curl up and hibernate! One of the major causes of a loss of motivation during the winter months is the lack of sunlight, which has a negative impact on the human brain. To try and address this, exercise outdoors as often as you can. Do this even if it just means doing a few squats in your garden before you dash back inside from the cold. The more sunlight you’re exposed to, the happier you’ll feel, and the easier you will find motivation. Working out at home is all well and good, but it can be dull. When working out at the gym or outdoors, you have a constant supply of different options to try and things to look at. At home, you don’t have that luxury, so boredom can creep in quickly. Battle against this by saving up episodes of your absolute favourite TV show. Make a rule that you’re only allowed to watch them while working out. A little motivation goes a long way! Don’t force yourself to slog through long workouts when you’re working on your fitness at home in winter. Opt for quick, short, high-intensity bursts of exercise instead. HIIT workouts can be completed quickly and efficiently, while still giving your fitness a boost. They’re the perfect solution for winter boredom. If you’re struggling with winter in general and feel your mood has dropped, try yoga or pilates. Both of these disciplines have shown promising abilities to help manage mental health conditions such as stress and depression. They’re an excellent physical workout, too. Finally, if boredom is your issue, then ensure you do something different with every workout. Invest in different exercise equipment, try a new fitness video on YouTube, or just work out in a different room. When it comes to handling a feeling of boredom while working out in winter, even small changes can make a big difference. Don’t be afraid to mix things up however you possibly can. 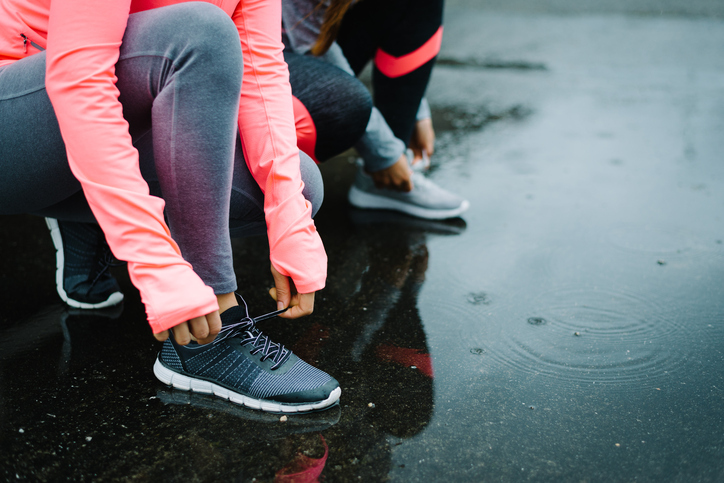 By following the tips above, you should be able to maintain your fitness and your motivation and make it through to spring feeling your very best. Good luck!